i know that a lot of you who read this blog don't really read many others or live in "blog world" (like i didn't 10 months ago when i had no clue this world existed)! first of all, to all of you, and everyone who reads this blog, can i just say thank you? it is so sweet of you to read and i so appreciate your generous support and love. secondly, i want to give a little background to introduce the project that i'll be starting this weekend. one way to get the word out about your blog is to attend a "link party." many scores of other generous bloggers have opened up their blogs by hosting these and allowing people like me to "link up" our projects and posts. they allow their blogs to be used as a platform to connect readers to blogs and bloggers to bloggers. it's a really neat way to foster the helpful sharing of information and build a deeper network and community of friends. my friend kyla, from house of hipsters, recently approached me and grace, from the big reveal, to ask if we would like to host a link party of our own with her. although i was a little nervous about opening up my blog, i've been blessed by the generosity of others in doing so and wanted to pay that forward. i also must tell you that it's a good way to get more eyes on this website. after almost one year of blogging, i'm honestly overwhelmed by how many people read it on a daily basis and i'm so thankful. when i started this, i committed in my mind to do it for one year. that anniversary will arrive in january and so i've been thoughtful lately about whether i should keep going or go get a "real" job when the kids are off to school. blogging takes a lot of work and hours; i know i can't do both well. and i truly love writing here. i love being able to spill the longings in my head into a post and then not long for them quite so desperately anymore. 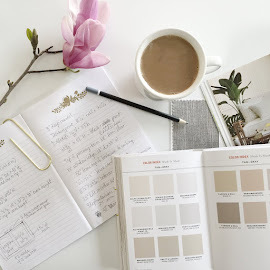 i love getting to journal and share the transformations in our home. i love the people i have met. i'd love to keep doing it, and to try getting the word out there a little bit more. the plan is to host this party weekly, on saturday nights. those posts will feature kyla's, grace's and my favorite projects that were linked up from the week before. hopefully it will be a way to bring you some really good, inspirational new things to read, blogs to follow, and projects to try! you have an open invitation to let me know your feedback, and we'll see how it goes. all that said, i am very excited and passionate about the inspiration behind our theme. we chose to name our link party "found & foraged." it's a concept that is very dear to my heart and really represents where i'm at right now with design, and how i want to encourage people to look at the things around them. our world (and our very nature) is structured in a way that makes us want more and more, and newer and newer, all the time. i don't think that is inherently evil- not at all. God made us in his image and "he is making all things new." i sometimes think about how in heaven everything will always be new, and never feel dated or off-trend or be old or unusable or discarded. it's incredible to imagine. but in this world, the constant pursuit of the new can be exhausting- to the soul and the budget. i not only want to be content with what i have, but i want to exercise the creativity God gave me to repurpose it when i'm craving something new instead of just running to the store. i'm finding such beauty in the fallen branches and garden blossoms and crumbling leaves outside that i don't really need to look much further to decorate my home. at the same time, it is joyful to run to the store now and then. what if we were more careful with our shopping- to find deals, clearance, treasures? or more purposeful- to buy from companies making a difference? what if we spent a little extra time to hunt for a vintage piece that would bring more character than the big-box stock? our homes would feel more like ours. our money would feel more well-spent. 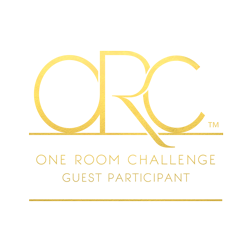 our rooms would be pieced together over time and tell a story. 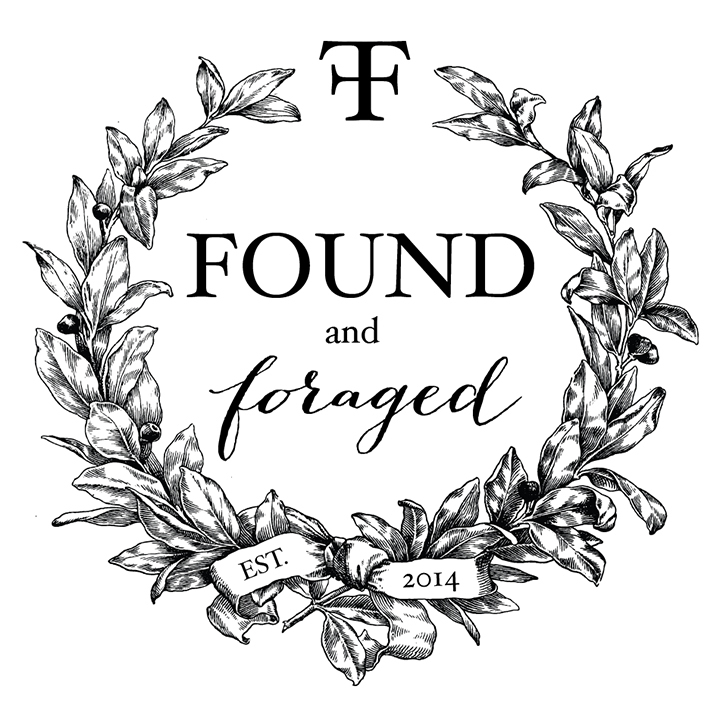 those are the projects i'm excited to feature as we host found & foraged. the things loved, collected, found, reused, foraged, and built. the things that make our houses into homes. i hope so much that you'll love it and find it inspirational and that it will be a good thing for all of us. thank you for taking the time to read my heart, and for following along with this blog. it's an incredible privilege to build something so personal, and to have so many people respond to it. here's to more. 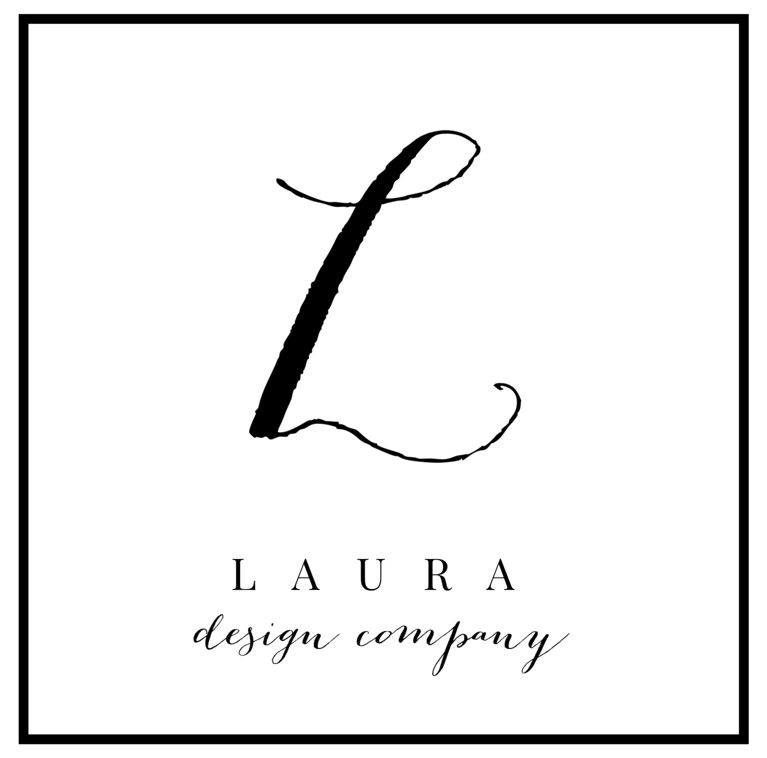 Laura! How did I miss this sweet introduction to Found & Foraged? You are such a sweetheart and I love this. So happy to be working on this project with you! Hi! I've been using the hashtag but I am even more in love because of this beautiful story!!! You are so inspiring! What a beautiful story! Love following along with the party and the hashtagged goodies on Instagram!